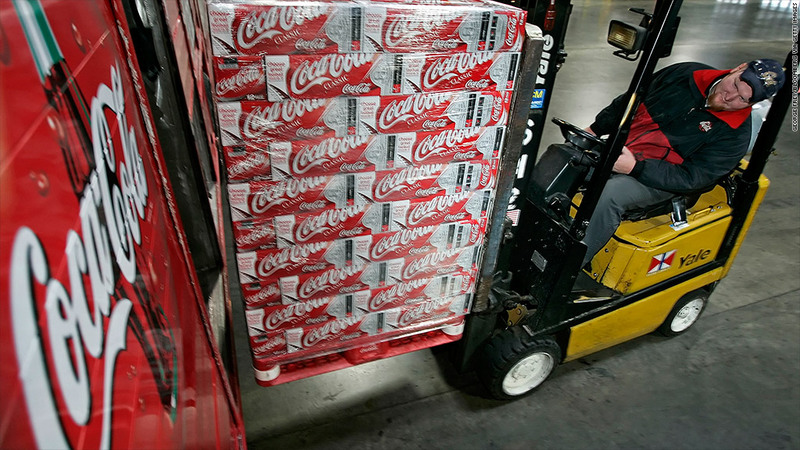 Coke is cutting just over 1% of its jobs in the United States. Coca-Cola is cutting 750 U.S. jobs, a little more than 1% of its U.S. workforce, according to a company spokesman. About one in four of the jobs being eliminated are in the Atlanta area, home to Coke's headquarters. Coke's (KO) U.S. workforce rose by 900 last year to 68,300, a rise the company attributed to consolidating the North American operations of Coca-Cola Enterprises (CCE), its largest bottler. It purchased those operations in 2010. The job cuts will come in the coming months. The cuts are far less severe than those at rival Pepsico (PEP). In February 2012, the holding company for Pepsi said it plans 8,700 job cuts worldwide by 2014. That accounted for 3% of its global staff. But less than 2,000 of those job cuts will come out of its U.S. workforce of 106,000.